The controller of Radio 5 Live says there’s little the BBC can do to make Alex Ferguson take part in post-match interviews. 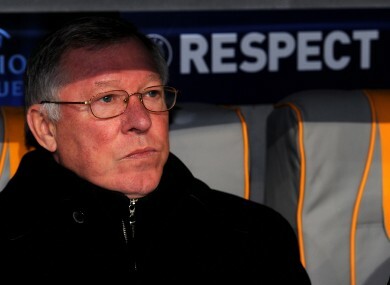 Alex Ferguson has refused to speak to the BBC since a Panorama documentary in 2004. THE BBC has resigned itself to losing in its longtime stand-off with Manchester United manager Sir Alex Ferguson over the Scotsman’s refusal to give the broadcaster post-match interviews, in spite of a contractual obligation. Ferguson has refused to speak to the BBC since it aired a Panorama documentary in May 2004 revealing transfer dealings made by Ferguson and his son, Jason, a football agent. But despite the Premier League introducing new stricter rules for this season where managers incur escalating fines if they do not speak to all licenced broadcasters this year – rules that were approved by every member of the league, including United – Ferguson has maintained his boycott, instead sending his assistant Mike Phelan to speak to the BBC. Now, however, the controller of BBC’s Radio 5 Live, the radio station that carries live coverage of Premier League matches, has admitted he cannot see Ferguson changing his stance after six years. The Premier League are now to discuss the ongoing boycott at its board meeting next month, but with Ferguson seemingly happy to shoulder the fines, there seems to be little the BBC can do to get Ferguson to speak to them. Email “BBC concedes defeat over Fergie boycott”. Feedback on “BBC concedes defeat over Fergie boycott”.